Aspen Music Festival and School President and CEO Alan Fletcher interviews and converses with the leading musicians and composers during the Aspen Music Festival summer season from July 8 until August 19. This show is produced by the Aspen Music Festival and School. Host Alan Fletcher discusses upcoming concerts and more with Patrick Dupres Quigley of Seraphic Fire and pianist Lise de la Salle. This is the final High Notes presentation of the season as we look ahead to the last weekend of music for the 2018 season. Alan Fletcher in conversation with Tenor Richard Smagur and conductor Jane Glover in anticipation of performances of Das Lied von der Erde on Sunday August 5, and a Tchaikovsky/Haydn chamber orchestra concert Friday August 3. Alan Fletcher chats with soprano Golda Schultz and pianist Inon Barnatan. Alan Fletcher hosts this weekly chat with AMFS artists. This week he talked with Lawrence Power and Alexander Shelley. Audio file below! The final week of the Aspen Music Festival attracted a large array of musicians to this week's High Notes with Alan Fletcher, including cellist Alisa Weilerstein and singers for the upcoming production of Berlioz's Damnation of Faust, the final concert of the season with over 350 musicians performing onstage! Here is Alan in conversation with a number of musicians who are helping bring the 2017 season of the Aspen Music Festival to a rousing close. AMFS President Alan Fletcher in conversation with a trio consisting of violinist Augustin Hadelich, cellist Marie-Elisabeth Hecker and pianist Martin Helmchen. On Saturday, July 29, the Pacifica Quartet performs a new quartet by Daniel Kellogg. And on Sunday, July 30, music by Christopher Theofanidis and Alan Fletcher get performed at 4:00 pm at the Benedict Music Tent. Today's High Notes conversation features all three composers in conversation. 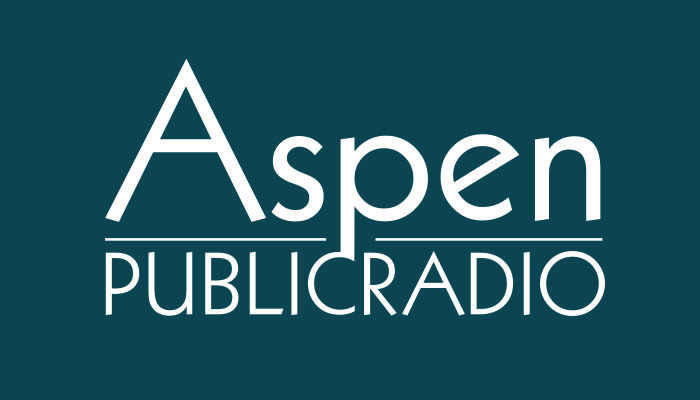 July 19th's 2017 High Notes with AMFS president Alan Fletcher, violinist Jennifer Koh, and opera director Ed Berkeley, airs Friday, July 21 at 2:00 pm on Aspen Public Radio. Here is the audio of the conversation. High Notes July 12 with Aspen Music Festival and School President Alan Fletcher with Sarah Chang, Stephen Hartke and Patrick Summers. Pianist, composer and Mozart devotee Robert Levin brings his completion of Mozart's unfinished Concerto for Violin and Piano to the stage on July 7. Conductor Nic McGegan joins in the conversation! Mohammed Fairouz's Songs of Typhoid Mary premieres with mezzo Kate Lindsey Friday, August 19. Pianist Inon Banaton chats with Alan Fletcher about his recital August 18, 2016. Composer Mike Mills, formerly of the rock band R.E.M., is a childhood friend of AMFS Alumnus and violinist Robert McDuffie. Mike and Bobby talk about their collaboration and the creation of Mills's Violin/Rock Band/Orchestra concerto. AMFS President Alan Fletcher joins the two musical icons in a High Notes conversation the day before their August 11 performance at the Tent. Pianist Conrad Tao and violinist Stefan Jackiw discuss the rise to stardom and maintaining a balanced life and career. Tao also unveils his upcoming CD release for the first time. AMFS President and CEO Alan Fletcher hosts. Three Pulitzer prize-winning composers: host Steven Stucky and interviewees Jennifer Higdon and Shulamith Ran in conversation about their upcoming performers and the composing process. AMFS President and CEO Alan Fletcher interviews cellist Alisa Weilerstein and conductor Rafael Payare. A conversation with pianist Orli Shaham on new works and the Mackey piano concerto Stumble to Grace with AMFS President and CEO Alan Fletcher.